From an early medieval king to a rabbit who might have ruled the world. 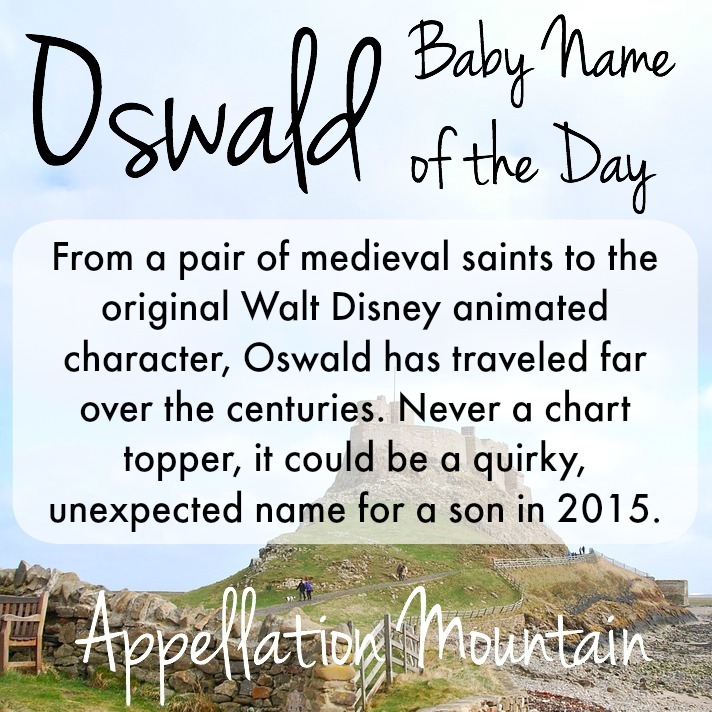 Thanks to Sarah for suggesting her son’s name as our Baby Name of the Day, Oswald. Oswald arrives on the scene sometime in the Middle Ages. There’s a King of Northumbria who answered to the name in the 600s. He brought Christianity to northeastern England, and is remembered as a saint for his efforts. He’s also remembered as a good king, at least by the historian Bede. Like many names of the era, there’s an Old English and an Old Norse version. It comes from the elements os – meaning god – and weald – ruler. The name remained in use. There’s a tenth century Archbishop of York, Oswald of Worcester. He founded several monasteries and participating in reform efforts. He, too, is considered a saint. The saints explain why this name is known in many other languages: Osvaldo in Italian and Spanish, Osvald in Swedish and Norwegian. It’s spelled with a ‘w’ in Germany, but pronounced Osvald there, too. There’s a minor character in Shakespeare’s King Lear who answers to the name, and it’s the given name of the reeve in “The Reeve’s Tale” from Chaucer’s Canterbury Tales. 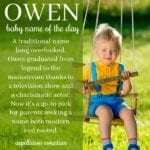 The name died out after the Middle Ages, though it remained in occasional use as a surname. During the nineteenth century, plenty of medieval names were considered romantic, and there was a mini-revival of many a neglected Old English relic. Oswald was among those re-discovered. From the late nineteenth century through the early 1930s, the name regularly appeared in the US Top 1000. It was never wildly popular, but there’s an undeniable history of use. You might know of the Nick Jr. cartoon octopus named Oswald. Created in 2001, it ran in re-run for over a decade. But there’s a much more famous figure. Walt Disney’s first creation wasn’t a mouse, but a rabbit. Walt and fellow animator Ub Iwkers created the black and white bunny for Universal back in the 1920s. It became a hit – bigger than Felix the Cat. Walt tried to re-negotiate his contract, but Universal balked. So Walt quit. He and Ub moved on, created Mickey Mouse in secret, and in November 1928 Walt Disney Studios released Steamboat Willie. The rabbit didn’t disappear, at least not right away. A much more bunnyish version of Oswald moved to comics in the 1930s, and by the 1940s, he was raising adopted sons, Floyd and Lloyd. But the character slowly faded into obscurity. 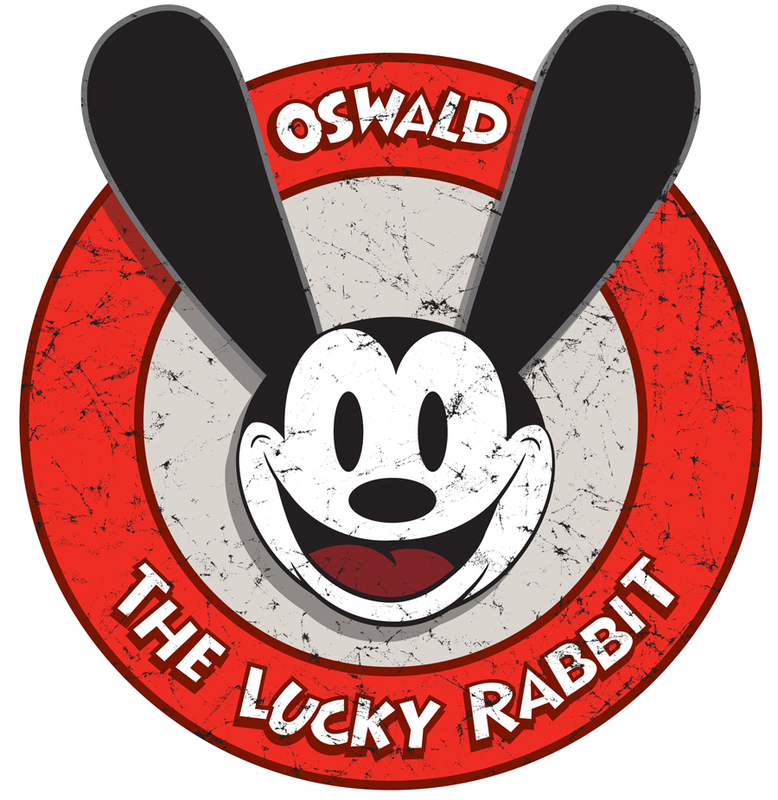 Until 2006, when Disney negotiated for ownership of the Lucky Rabbit at last. Now he’s much more present through the Disney universe, from video games to the theme parks. As for the name? Legend has it that Oswald was chosen out of a hat. One more notable character, often seen in ink: Batman’s nemesis, the supervillain known as The Penguin. The character’s real name is Oswald Cobblepot. That might have been an obscure bit of knowledge, but a young Oswald appears in television’s new Batman prequel, Gotham. Fictional Oswalds remain in the spotlight, but this name has all but disappeared in 2015. Just nineteen boys were given the name in 2013. And yet, Oswald’s sound isn’t so out-of-step. If you love Owen, but want something far less common, Oswald could be a satisfying choice, a brother for Zinaida or Thomasin. 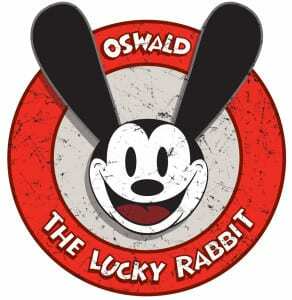 What do you think of Oswald? Can this name make a comeback in 2015? We chose it for our son as it was a family name and had the bonus of Ossie as a nickname. I am from England so my first association wasn’t the JFK assassination. In fact we were having trouble deciding between this and Augustus, but were more concerned with the Charlie and the Chocolate Factory connection as our last name begins with a G.
I like the sound, but I think Lee Harvey Oswald will still be the main association for at least another generation or two. My grandpa was named Oswald. He died when my mother was still a teen, so maybe if I’d had the opportunity to know him I’d have a more sentimental feeling towards the name? Anyways, it feels odd to consider Oswald as a baby’s name, instead of the name of a long-dead grandparent… but I love the surprising way the names can come back in style. That was supposed to say “ditto”… sketchy wifi connection. 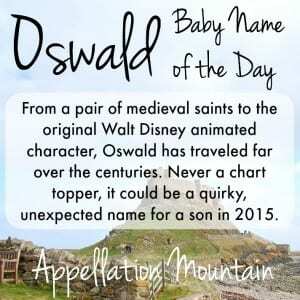 For me, that is THE association for the name Oswald.